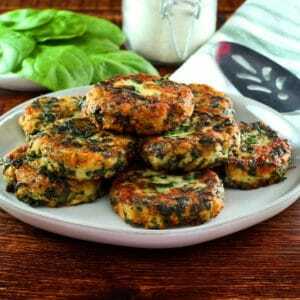 Thanksgiving means a busy kitchen, and keeping the kids entertained in the midst of all that cooking can be a challenge. 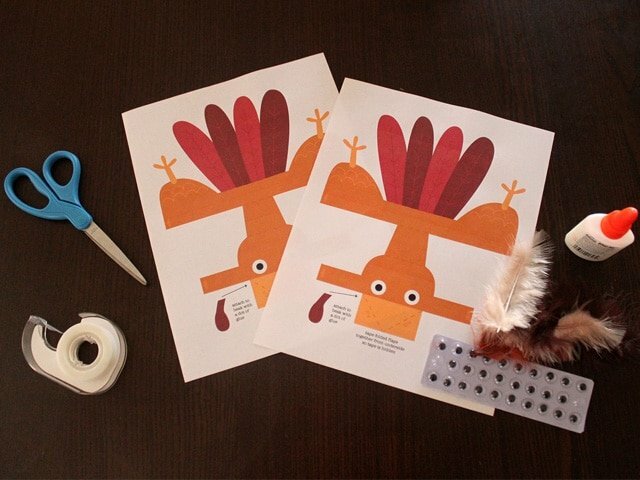 Here’s a fun printable holiday craft to engage your creative youngsters while you put those finishing touches on the Thanksgiving table! 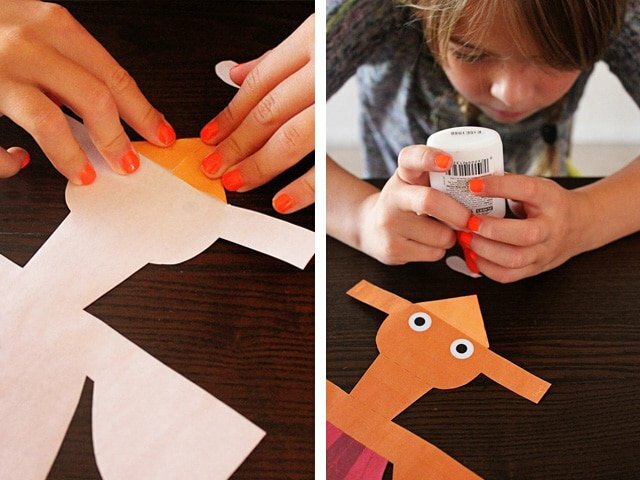 Even better if you have a spare uncle or aunt on hand to help them with the tricky cutting parts. 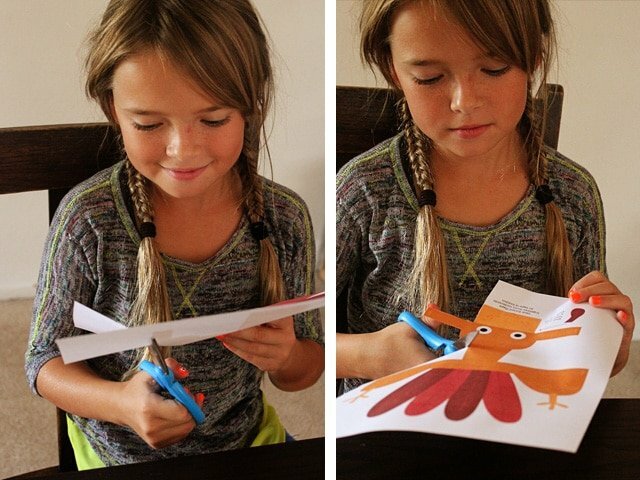 First, you will need to print this ---> Turkey Puppet Printable on your home inkjet printer. Cut it out along the outside lines. You can cut off the turkey feet if cutting around the little curves is too difficult. Personally, I think they add a super cute detail but proceed based on your child's skill level. 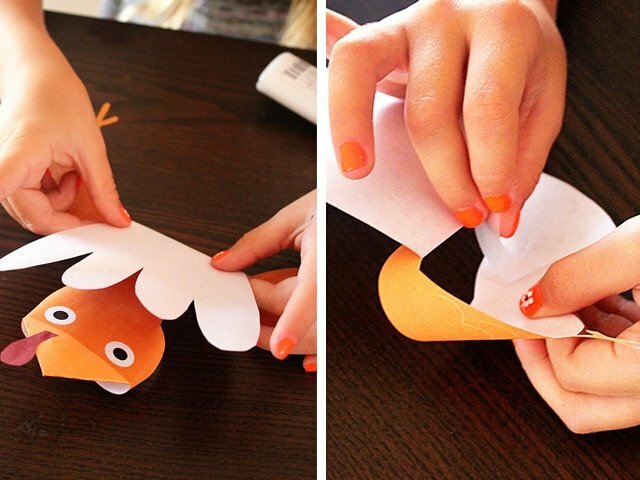 When you have everything printed and cut out, turn the puppet over and fold the two sides of the beak inwards on the dotted line. Tape closed. This will be where you put your fingers for the puppet. Also close and tape the two long tabs on either side of the turkey head. You can add the waddle to the beak with a dot of glue. Next, wrap the wings into a loop (as shown at right) and secure from the inside with a small piece of tape. This can be adjusted tighter or looser to fit your child's hand. My daughter chose to put this part around her wrist while I put it above my thumb. Do whatever fits you best. You'll also want to fold the tail feathers up along the dotted line (shown at left). 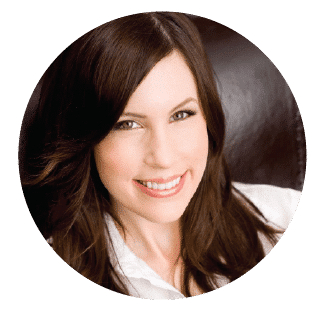 Insert your hand and make any adjustments you might need and you are ready to play! Gobble gobble! 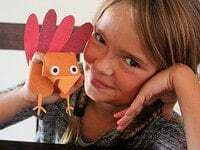 You can squeeze a little more fun out of this craft by embellishing with real feathers and googly eyes. 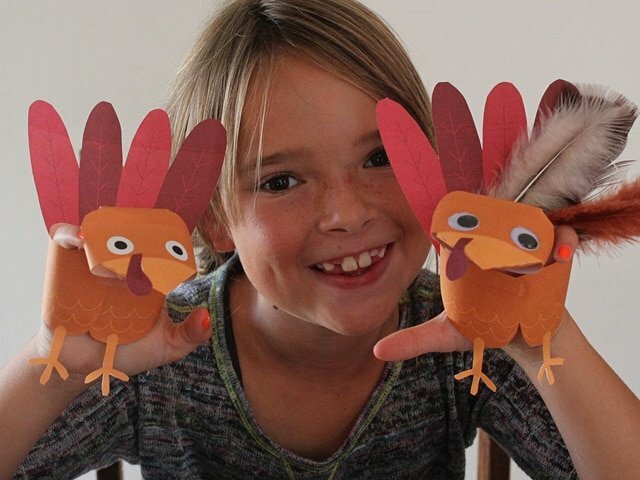 You might even want to add names and use these cute little turkeys as placecard decorations on your table. 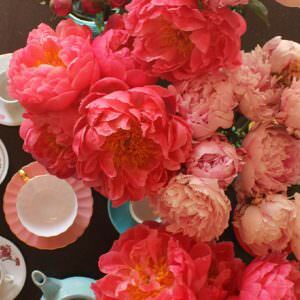 Or just use them as cute homemade holiday decorations. I am an Art teacher at a small private school. 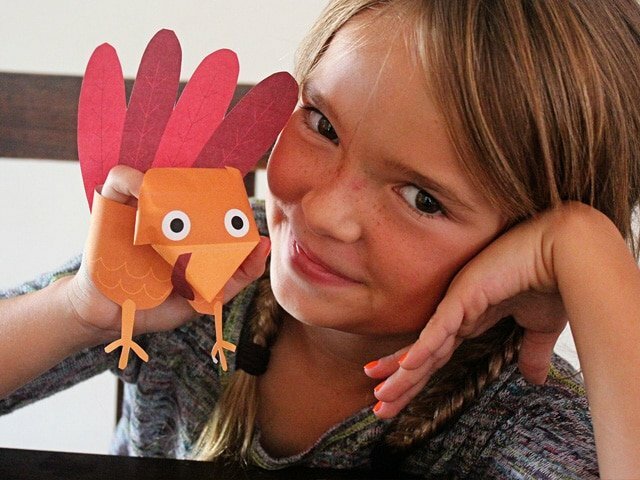 Your turkey puppet is totally adorable! 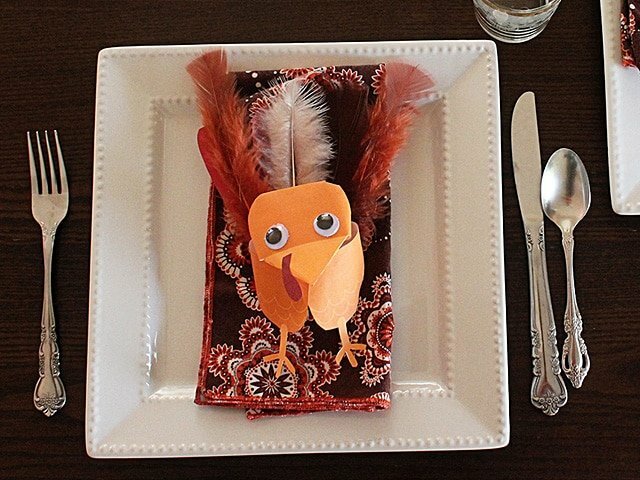 May I use your pattern in my class with the children coloring the turkey and making it as per your directions? I would use it for first thru (possibly) third grade students. That would be about 53 students total. Thank you.